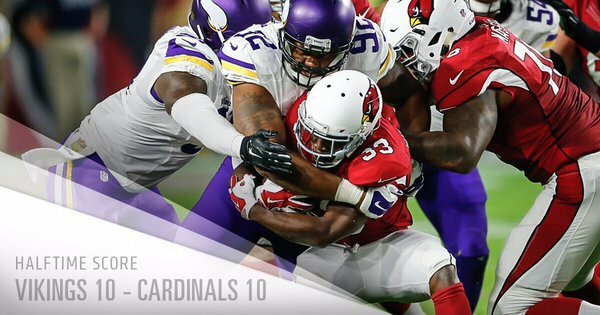 A holding call on the Badger gives the #Vikings a 1st down at the #AZCardinals 15. 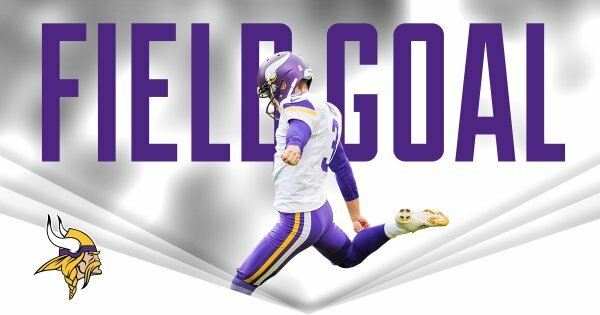 Blair Walsh connects on a 44-yard #FieldGoal . Will Wright's fumble loom large?
. 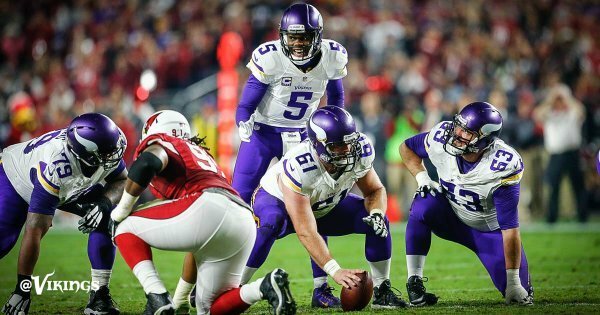 @teddyb_h2o is 11-of-14 for 162 yards in the 1st half. Bridgewater and Rudolph move the chains to the MIN 41. 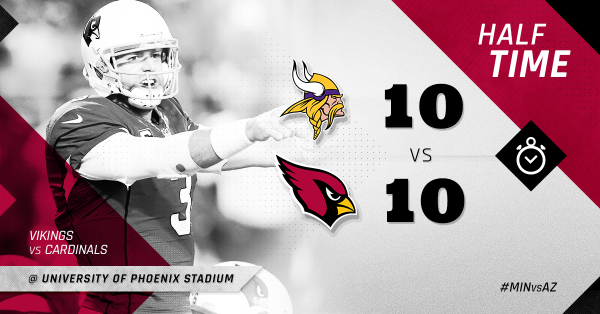 Bridgewater to Rudolph again and the #Vikings are in #AZCardinals territory. Don't think the Vikes have taken a 2nd half kickoff and score a TD this season?
. 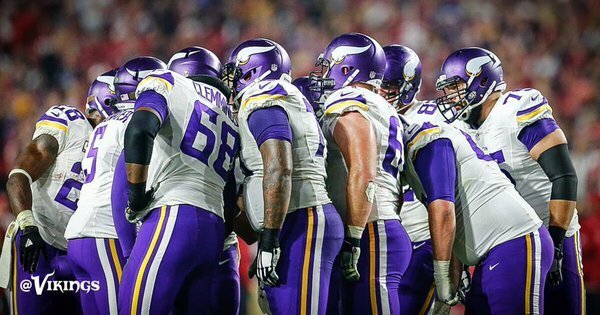 @KyleRudolph82 has 52+ yards in 3 of his last 4 games. What was that? Was just about to tweet how impressed I've been with Bridgewater's bounce back and his use of the tight ends. Looked like Peterson was trying to pitch that to Wallace on the reverse, Cardinals there to blow it up. Another killer turnover. 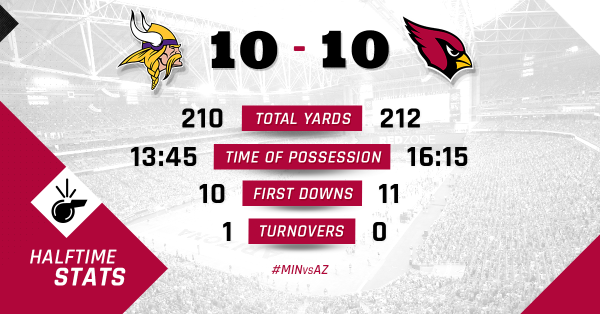 A #Vikings fumble gives the ball to Arizona. Palmer does the cha cha, buys time and hits @dajohnson7 for a first down to the #Vikings 44. Waynes back in at CB, Blanton back on sideline. Some miscommunication in coverage there for #Vikings allow another big touchdown pass. Trail 17-10 after Peterson's fumble.